I know that so many young children are sent to foster homes with very few belongings, sometimes carrying those belongings in a plastic trash bag. Almost nothing is their own. This bothered me, knowing how much my belongings mean to me. To help, I decided to create cinch sack bags for some of the girls. I hoped that it would help some girls on their journey, and inspire others to do the same. 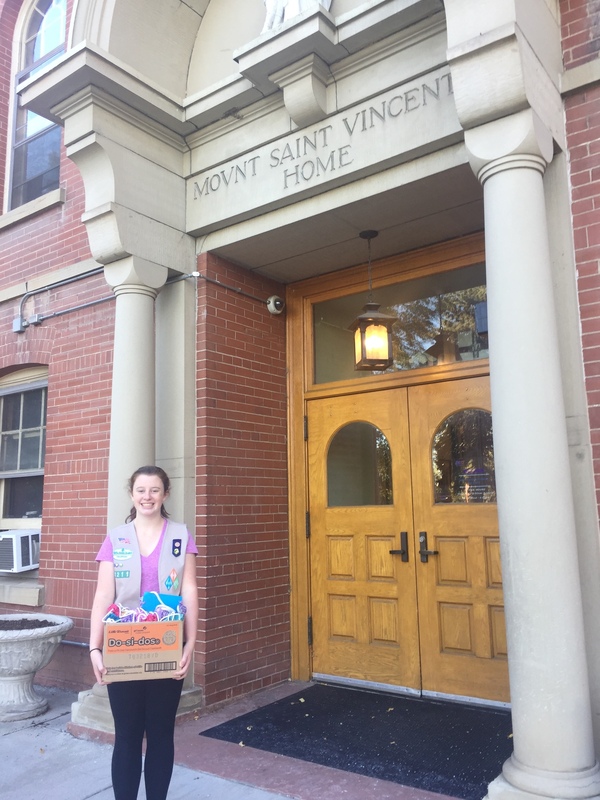 I delivered them to Mount Saint Vincent’s Home, and they have been distributed to girls around the metro-district. These cinch sack bags were sewn and designed by me. In order to have the funds to buy the fabric and the materials, I started a small business of sewing badges on to local Girl Scout uniforms. I advertised through family friends and my service unit. The money I earned helped me get enough fabric to make 20 bags for foster teens.